After a long, fun-filled day of fishing and kayaking, the last thing you want to do is carry your kayak home. 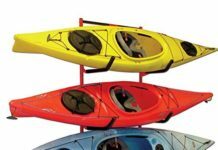 While a kayak rook rack is a must for transporting your kayak, you want to make sure that you have one that is easy-to-use and strong enough to keep your kayak from flying off the roof. We’ve evaluated hundreds of kayak roof racks on the market and have come up with this list of the best kayak rook racks and carriers. Note: In order to use these kayak roof racks, you will need a set of cross bars. You can find some great ones here. This sturdy kayak roof rack carrier is strong enough to hold a 150lb kayak and includes straps to secure the kayak in place. One of the main things that you should be doing before purchasing any kayak roof rack is to evaluate the features that each one has. This way, you will be guaranteed that you will be picking the ideal kayak roof rack based that is functional and of high quality. Here are two of the features that you should look for when picking the best kayak roof racks. One of the first things that you should be taking into consideration is the setup of your car’s base roof. There are four possible setups: the bare roof, the side rails, the factory cross bars, and the aftermarket cross bars. If your roof is naked or with side rails, consider picking foam or inflatable pads. If sophistication is your game, you could pick the two crossbars. 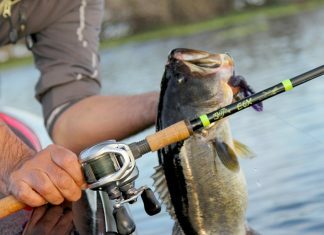 The construction of the rack is another factor that you should consider. This is due to the fact that the material and its constructions could directly affect its strength and its durability. Pick the kayak roof rack that is power-coated to ensure that it will last a long time. You want to make sure that the roof rack is easy-to-install and easy-to-use so that you don’t waste time installing it and putting the kayak on. The features which were mentioned above are just some of the key features that you should take into consideration when picking the best kayak roof racks. The first kayak roof rack on our list is the CargoLoc 2-Piece Aluminum Top Cross Bar Set. This product features a rigid aluminum body that cuts down on the weight without sacrificing the strength. It has a heavy-duty clamping mechanism which ensures that the cross bars will remain fastened to the existing side rails firmly. Its keyed locking mechanism will make sure that they would stay put. 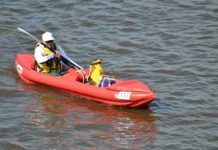 It is designed to fit most kayaks which are up to 150 lbs. The TMS J-Bar Rack Kayak Carrier is a simple and affordable solution to carry your kayak. It secures the kayak on its side, consuming a small amount of space on the load bar. A maximum of four sets of kayak racks could be mounted on a full-size truck, saving your space. This roof rack has a steel design with adjustable padding for strength and protection. It has a wide mouth bar which offers easy loading and unloading. It could accommodate kayaks up to 36 inches wide. The Attwood 11438-7 Kayak Car-Top Carrier Kit is another great choice if you are looking for the best kayak roof racks. This kayak carrier kit includes a set of supporting foam blocks to protect your kayak as well as well as your car. It further includes two straps with adjusting buckles and clips for a more secure hold of the kayak. Additionally, it consists of a 15-feet polypropylene rope. The rack’s straps are made of a sturdy poly web with vinyl-coated clips. The Vault Cargo Management Kayak Roof Rack is a set of universal locking cross bars which could protect your ride due to its padded clamps. It is great for your SUVs with existing raised side rails with a gap. With its kayak mount feature, you are ensured that the bow and the stern are strapped to the vehicle bumpers for maximum safety. With fitting rails which are up to 47 inches apart, you are given plenty of space to use for your kayaks. It has a load capacity of up to 150 lbs. The Malone Auto Racks DownLoader Kayak Carrier is J-style kayak carrier with a built-in boarding ramp for easy loading. Its fold-down technology is essential in increasing the overhead clearance. Its oversized padding is able to protect the kayak during transport. This kayak roof rack has a JAWZ mounting hardware which fits round, square, and oval cross rails. It is further equipped with Camp style load straps with buckle protectors and pre-coated mounting bolts. The Yakima Jaylow Kayak Carrier is another excellent choice for your kayak storage and transport needs. This kayak roof rack is able to support a kayak which is up to 80 lbs in a J-cradle position. It could also support two kayaks with a combined weight of up to 110 lbs in a vertical position. In addition to this, this product is noted for its minimum crossbar which spreads of 24 inches or more. The JDM Auto Lights Universal Roof Rack is a durable and robust kayak roof rad with a solid heavy-duty steel construction. With a large load capacity, you will be able to load even your heavy kayaks safely on your SUVs. 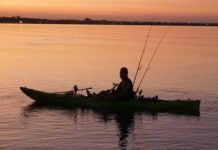 Its wide mouth J bar offers easier loading and unloading of the kayak. This product is also noted for its surface rust-resistance coating, ensuring you that it would last a long time. The final product on our list is the TMS Kayak Roof J Rack, a simple and affordable solution to carry your kayak. It secures the kayak on its side, consuming a small amount of space on the load bar. A maximum of four sets of kayak racks could be mounted on a full-size truck, saving your space. This roof rack has a steel design with adjustable padding for strength and protection. It has a wide mouth bar which offers easy loading and unloading. It could accommodate kayaks up to 36 inches wide.